Bilateral femoral hernias repaired with mesh 7 years post-RNY. Actually, it wasn't that bad - nothing compared to the open breast bone to navel surgery I had 2 years before. I see that scar as well. Looks like you really had a time of it. Hopefully your health has been well and it was all very well worth it. It seems like a lot of WLS folks end up with hernias from what I have been reading. Being overweight increases the strain and pressure on your abdominal muscles and makes them weaker and more prone to developing a hernia. That's how I entered the world of bariatric surgery. 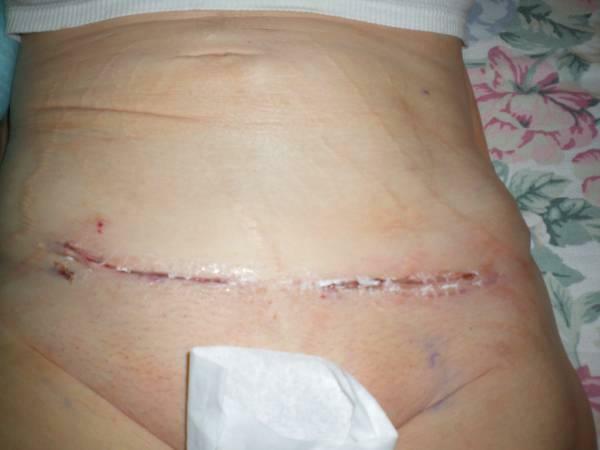 I was referred by my PCP to a surgeon because of an umbilical hernia that was causing problems. He was the one to suggest a RNY because if I didn't lose weight and keep it off, the hernia repair was likely to fail.